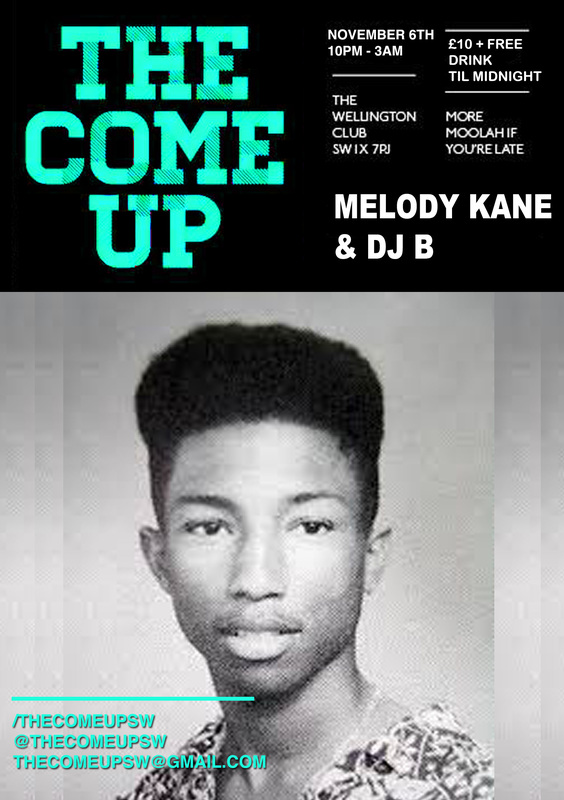 The Come Up ladies return to The Wellington next Wednesday, November 6 for another installment of their hugely popular Hip-Hop night The Come Up. This time, along with resident controller DJ B on the decks, SB.TV’s very own DJ Melody Kane will also be on the 1s and 2s supplying the Hip-Hop hits. Doors open at 10pm and entry is now £10 before 12:00am with complementary drinks and £15 afterwards. There is no dress code because “who follows dress codes anyway?“. For guestlist or table inquires, send an email to thecomeupSW@gmail.com.